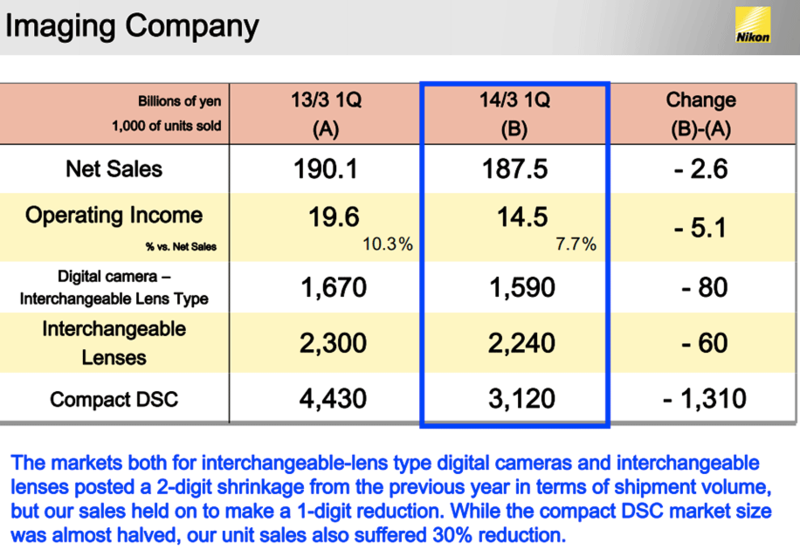 Nikon published their latest financial results and cut their future full-year forecast due to disappointing mirrorless cameras (Nikon 1) sales. 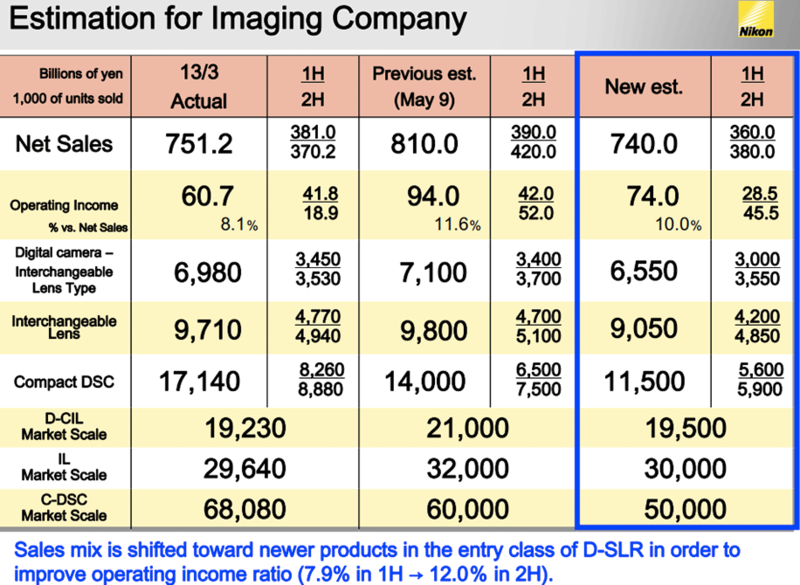 The Nikon Imaging division now expects to sell 6.55 million units instead of the previously planned 7.1 million. The operating profit forecast was also cut to 65 billion yen from the previously projected 85 billion yen. In contrast to US and Europe, mirrorless sales in Japan grew 16.8% this year. Compact camera shipments fell 48%. In the future Nikon may start offering different products in different regions based on the local demand. This entry was posted in Nikon 1, Other Nikon stuff and tagged Nikon financial results. Bookmark the permalink. Trackbacks are closed, but you can post a comment.